Cherokee Nation Councilors formally request that Oklahoma congressional representatives begin an investigation to find out what role if any Bureau of Indian Affairs and Interior officials had in the Cherokee Nation crisis. The written formal request was sent to Oklahoma Senators Nickles and Inhofe as well as Representative Coburn. 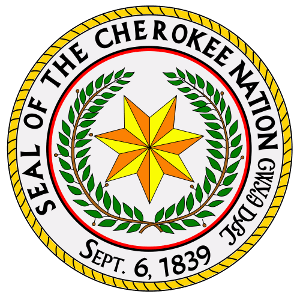 As elected officials of the Cherokee Nation Tribal Council, we appreciate your over sight on the very critical matters relative to the Cherokee crisis.�The Cherokee citizens have endured this crisis for a year.� However, this is not only a Cherokee matter but one that affects the American taxpayer as well as the economy of northeastern Oklahoma. We are concerned and embarrassed that our government is being mismanaged.� Furthermore, we are outraged that criminal laws and individual civil rights of citizens under the Constitution of the Cherokee Nation are being violated and subverted.�We therefore, earnestly request that our Oklahoma delegation initiate a Congressional investigation, through the appropriate committees, into the role of officials in the U.S. Department of Interior, particularly the Bureau of Indian Affairs, in the Cherokee crisis. It appears that certain officials, in key political and appointed positions, were improperly influenced by attorneys with high level political connections.�This influence and the consequential actions which followed contributed to waste, fraud, the abuse of federal and tribal resources and more sadly, the abuse of individuals rights.�The sum result has been the obstruction of justice. The information received by the Tribal Council these past weeks and months as well as the condition of our Tribe warrants an investigation.�The Bureau of Indian Affairs officials, both past and present, and their role in this crisis is questionable.�The contribution of Cherokee Nation personnel assigned to the Democratic National Committee in Washington marked the beginning of the continual financial decline of our Nation. We do not feel that it is appropriate or necessary for tax payers dollars to be used to pay anyone to peddle their influence for the Cherokee people. The Cherokee people have long been respected for their ability to represent and govern themselves.�We believe there is ample information to justify this investigation to find out what role if any Bureau of Indian Affairs and Interior officials had in this crisis.�We believe it is noteworthy that over the past year three of the State’s major newspapers on numerous occasions have editorialized and been extremely critical of the federal role in the controversy. 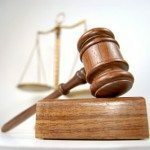 We understand the Justice Department is investigating several transactions to determine possible criminality and prosecution of certain officials.�We do not see any conflict because that process will probably only deal with the specific transactions an not deal with those federal officials responsible for the environment which promoted the violations and waste of precious resources. We respectfully remind you of the unique inter-governmental trust relationship between the federal government and the Cherokee Nation.�The Cherokee Nation government should have been allowed to act in accordance with our Constitution and carry out our own laws without interference from the Bureau f Indian Affairs and without federal officials encouraging, if not aiding directly, in the obstruction of justice.�The federal involvement prohibited proper operation of our institutions and prevented our law enforcement’s ability to enforce the process of justice. While this controversy is primarily a tribal matter to be solved by the Cherokees, the continual role of the Bureau of Indian Affairs and their interactions with people who have connections to the Clinton administration deserves and justifies our request.�Your oversight and assistance is greatly needed. **Contract of Cherokee Nation employee while working for the Democratic National Committee available upon request.